Rubus occidentalis is an arching, prickly shrub to 2m, colonial, stems erect or arching upward, rooting at tips, bluish-whitened, unridged, thorny; roots associated with VA mycorrhizae (Brundrett and Kendrick 1988). Leaves alternate, compound, 3 leaflets. 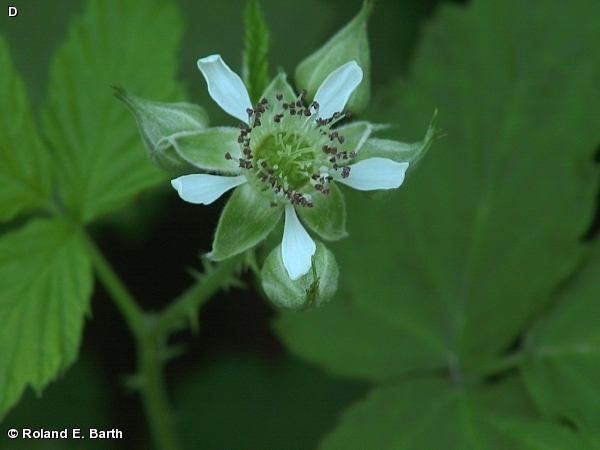 Rubus occidentalis.© Roland E. Barth.© 2008 Fontenelle Nature Asssociation.www.fnaturesearch.org (Accessed 5/2015). Flowers white, in clusters; blooms May. 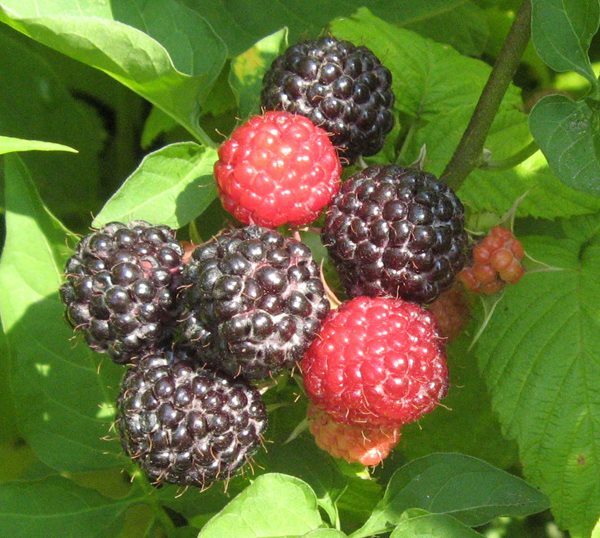 Fruit fleshy, turns red, then black, of multiple 1-seeded drupes, fruit, falls off receptacle; ripens June. Bird dispersed. Seed load 12%. Pulp nutrients: water 90%, lipid <1%, protein 8%, CHO 71% (White 1989). Fruit eaten by numerous birds and mammals (Martin et al., 1951). 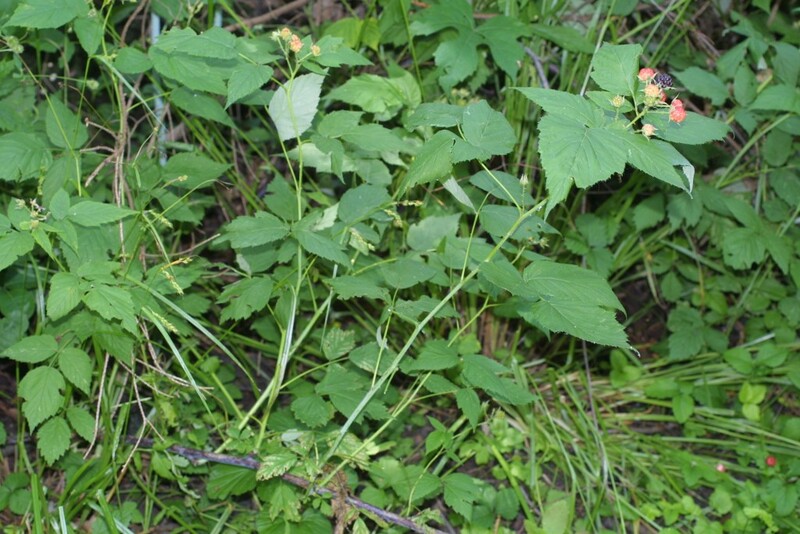 Rubus occidentalis.ripe and unripe fruit.Gary Lincoff.NYC.6.27.2016 (Accessed 6/2016). Habitat: Open upland areas, forest edges, open, disturbed woods. Rich acid soil pH 4.5-6.5. Tolerant of drought. Moderately tolerant of flooding, soil compaction, shade (grows poorly in full shade), (Hightshoe 1988). Stems and leaves eaten by rabbits and deer (Martin et al., 1951).